I couldn’t let this go unremarked, American has officially retired their last 767-200 from their fleet. 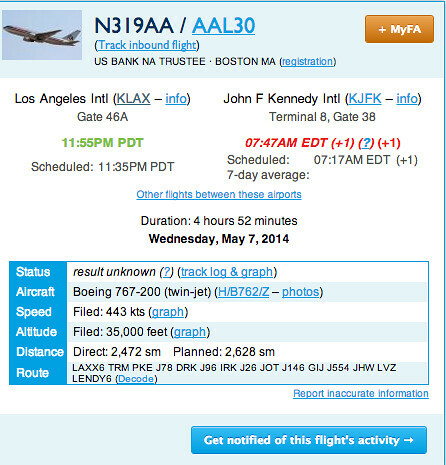 The final 767-200 flight was American flight 30, N319AA, departed Los Angeles at 11:35 PM May 7 and arrived at New York JFK May 8 at 7:17 AM. I must admit I’m a little sad to see the 767-200 exit the fleet, I’ve always had a soft spot for their widebody, 3 cabin, transcon service. However, the new A321-T transcon makes the change easier to bear! A big hat tip to @Eric772! What will AA be flying to Hawaii? 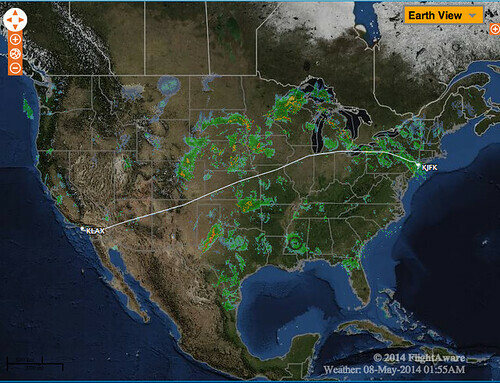 @ Janis – They’re still flying the 767-300s to Hawaii and will for some time. Just the 767-200s have been retired. Thanks for reading! Hello Mr. AAGeek. I’ve been in de-tox without your daily postings since December the last one in December. I always enjoyed procrastinating at work with such interesting tidbits that I would subsequently partake in during my next travel 🙂 Please catch us up on all of the cool stuff you’ve experienced since December. Thanks!